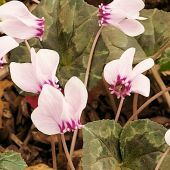 Cyclamen are pretty, short-statured plants with winged "butterfly" flowers in pink and in white. Their dark green leaves are beautifully shaped like ivy and marked with a lovely silver. 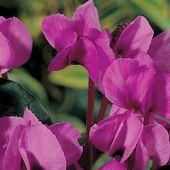 Some species flower early in the year while others wait until late Summer, sending up successive waves of blooms into early Fall. 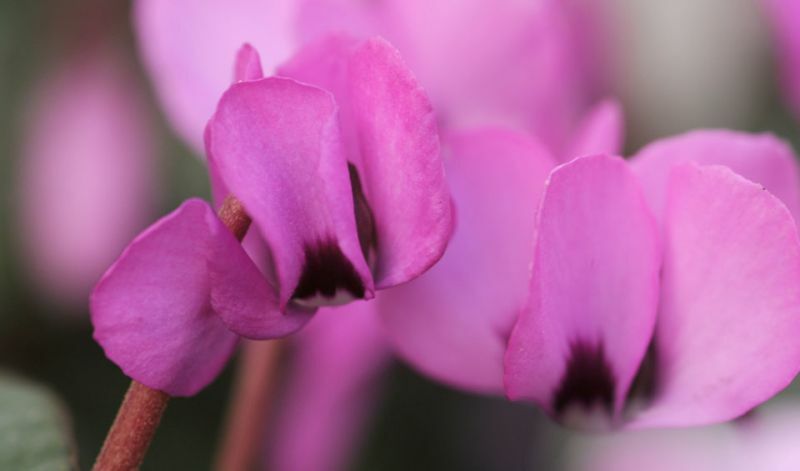 Considered especially easy to grow, there's a misconception that cyclamens need a lot of moisture. 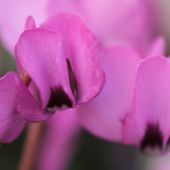 The hardy cyclamen thrives in shade or partial shade where conditions imitate its natural habitat: soil must contain sufficient humus, be rich in calcium and you'll want to cover the plants once a year with a light mulch of well-composted leaves. Plant, not too deep and almost at the surface, with concave side up. Once established, do not disturb and it will slowly multiply.